It seems that 'lucky' is the theme for new online bingo sites in 2016. Launched in July, Lucky Diner Bingo is the latest to join in on the trend. The brand new online bingo site is operated by Cozygames Management Limited and is part of the Live Bingo Network. Long-time players may find some of the offerings similar to other brands under the gaming companies, but Lucky Diner Bingo has a unique selling point. Read on to find out about the brand's amazing offers and see why Lucky Diner Bingo can qualify as the best new bingo site this year. Join Lucky Diner Bingo today and feast on the multi-part welcome offers waiting for new players. For starters, the new bingo site has a free bonus worth £10 that punters can claim upon completing registration and verifying a credit or debit card. Once the freebie has been spent, there are huge bingo deposit bonuses up for grabs for just £10! Players can claim 500%, 350%, and 300% cash matches on the first 3 deposits respectively. Newbies aren't the only ones with great offers to look forward to. Lucky Diner Bingo is a site that keeps on giving with reload bonuses on top of every deposit. Don't forget to log in within the next 7 days after making a deposit as players can claim an additional £1 every day. Lucky Diner Bingo also runs daily, weekly, and monthly promotions where players can win guaranteed jackpots, raffle draws, and cashback deals among other exciting prizes. Lucky Diner Bingo runs a loyalty program as a show of appreciation for frequent customers. It's a 4-tier VIP scheme where players can move up the ranks by earning points on all their deposits. The higher the level, the greater the benefits. In addition to exclusive VIP offers, Lucky Diner Bingo also has the Lottery VIP Club with additional chances to win through the PA Lottery. The brand allows users to play bingo on mobile anytime, anywhere. Along with the launch of the desktop site, Lucky Diner Bingo also has a brand new mobile bingo site. 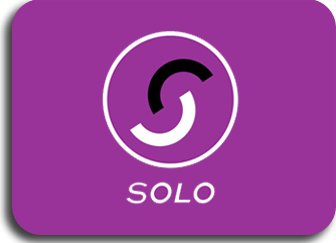 It's fully optimised for various devices, meaning there's no need to download additional software or apps. Just visit the URL, log in, and play. Lucky Diner Bingo works with numerous reliable payment partners to provide convenience in managing bankrolls. 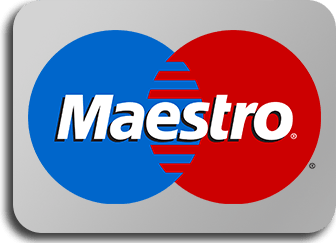 The online bingo site accepts credit cards and debit cards such as MasterCard, Visa, Solo, and Switch. 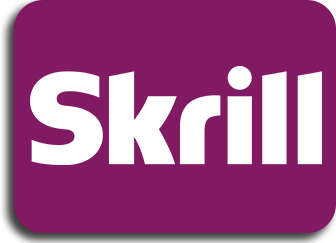 Players can also make bingo deposits using NETeller and Skrill. 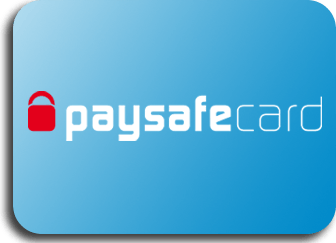 Paysafecard bingo payments are accepted as well. Mobile bingo players don't have to worry about running out of funds while in the middle of a game. Lucky Diner Bingo supports a pay by mobile phone bill option via Boku, allowing users to fund their accounts anytime, anywhere. In order to cash out any funds, players must meet Lucky Diner Bingo wagering requirements. With different bonuses up for grabs, it's important to read all promotional terms to ensure smooth transactions. Do note that conditions may vary depending on the type of bonus. Deposit-related bonuses are subject to wagering of 4 times the deposit and bonus amounts on bingo or 10 times on games. Bonuses categorised as free money are subject to wagering of 8 times the bonus amount on bingo or 20 times on games. Players can opt out of receiving bonuses and will only need to rollover the deposit amount 1 time. When it comes to having a great variety of online bingo games, Lucky Diner Bingo serves up a full course meal. Check out the game lobby for schedules on 90-, 80-, 75-, and 30-ball bingo. A game starts every couple of minutes so there won't be a long waiting time in between playing. The icing on top of the cake is the exclusive room 'Bingo Tonight' where games are live every Thursday! They even have a Jukebox section where players can listen to the greatest hits from today all the way back to the 50s. Those looking for alternative gaming options need not find another site to play on. Lucky Diner Bingo is also home to first-class online slot machines, top-notch casino games, and high-quality scratch cards. For those who are a little short on funds, Lucky Diner Bingo offers free bingo online as well as demo versions of slots. As the name suggests, the site has a 1950s diner theme that looks great on any platform. Most networked sites tend to look differently only on the main page and be practically the same as players go deeper into the site. With their exclusive rooms, live games, and music streaming sections, Lucky Diner Bingo has taken a leap ahead of their competition. Even with the unique features, the site maintains ease of use thanks to a comprehensive help section and a 24/7 customer service team. Should anyone have any concerns, players can request for assistance via phone, email, or live chat. Thursday nights aren't the only times players can participate in a fun chat. Lucky Diner Bingo has a team of vibrant chat hosts who make sure that all players have a great time by maintaining a warm atmosphere, providing helpful tips, and offering interesting conversation. Lucky Diner Bingo is a brand new Cozy Games online bingo site on the Live Bingo Network. With two renowned gaming companies providing the brand with a great platform, punters are guaranteed an exceptional experience on the site. Cozy Games is also known for supporting a wider range of gaming options, making Lucky Diner Bingo appealing to various kinds of players. There's hardly anything bad to say about Lucky Diner at this point, except the theme looks more like an old Las Vegas sign than something for a diner. So many online bingo sites are brand new this year that it can be difficult to choose one to wager with. It's important to look for qualities of the best online bingo sites when searching for a new gaming venue. With high-quality games, lucrative promotions, and excellent services, Lucky Diner Bingo seems to have it all. Add an exclusive bingo room and unique features, this site is sure to catapult itself to the top of the list of popular UK bingo sites in no time!